Growing up in California there was certainly no shortage of good Chinese food. Now that we live in Utah that’s a whole different story. Stephen and I have searched long and hard but still can’t find good Chinese food! Crazy, huh?! The other day I decided that I needed to search for a few recipes online and see if I could make something that would be equally as good. That’s not always easy to do, especially with asian food. I was really skeptical about the end results but I have to say, this orange chicken is by far better than any takeout we’ve ever had. It’s delicious! Prepare to spend a little extra time prepping this recipe and doing a few more dishes. Don’t worry guys, it’s worth it! To start, we’re going to need to make the orange sauce. We just came back from Florida with a bag full of incredibly sweet and juicy oranges, so I used a few for both the juice and the zest. You’ll need about 1/2 c. of freshly squeezed orange juice and 1 tbsp. of zest. You can put that in a 2 c. glass measuring cup or a medium size bowl. Next the chicken broth, sugar, distilled white vinegar, soy sauce, minced garlic, Sriracha, ginger, black pepper, and red pepper flakes. We like our food on the slightly spicier side, so I added a generous amount of Sriracha and red pepper flakes, season your sauce accordingly. Whisk everything together and set it aside. 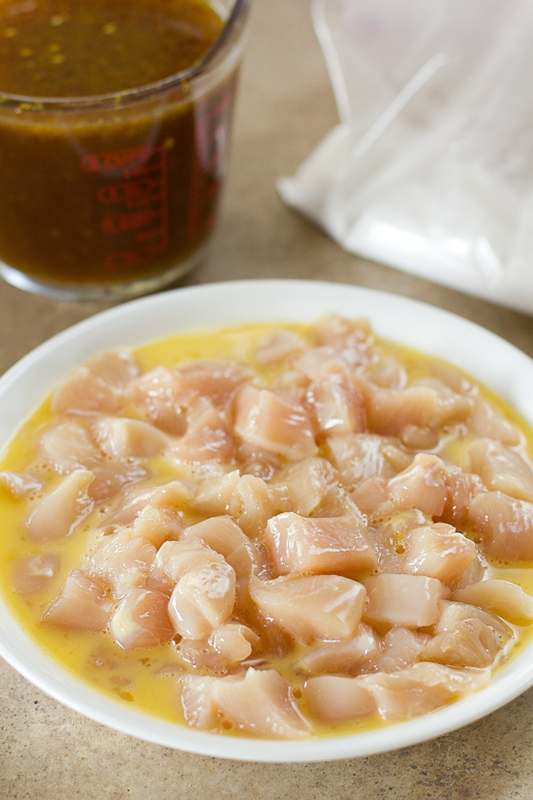 Once you have your chicken cut up into 1″ cubes, place it into a bowl with the whisked egg and coat. Toss the chicken (taking care to let the egg drip off it) into a large ziplock bag. Pour in the cornstarch or tapioca flour. You can use either or some of each, they do the exact same thing. I happened to have tapioca flour left over from my pão de queijo recipe so I used it. 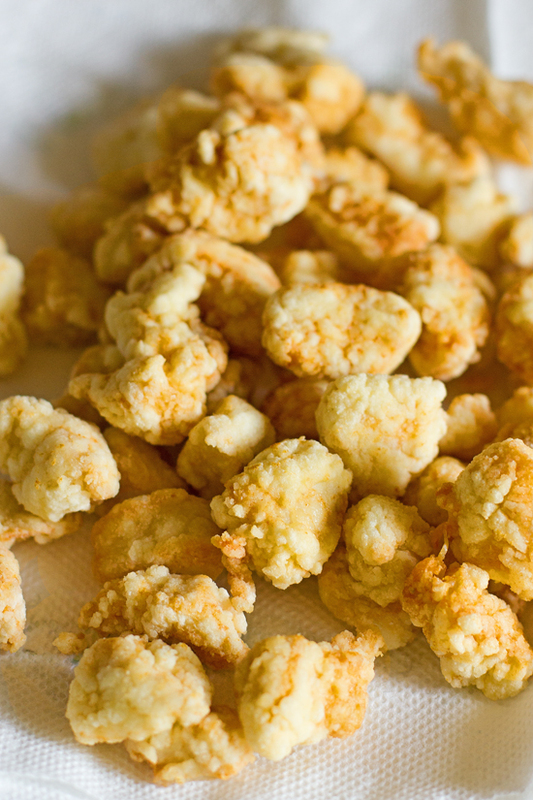 This is your breading and it’s all you need to make super crispy nuggets. Zip and shake until evenly coated. It’s ok if it looks a little funky and if things stick together a bit, you can pull them apart before you fry them. Heat a about 2 cups of vegetable oil in a large saucepan or dutch oven. Working in batches (I did four), add the chicken to the HOT oil and fry until golden brown and cooked through, it should only take about 2 minutes. Transfer the golden nuggets to a paper towel lined plate. Add the fried chicken to a lightly greased 9×13 inch baking dish. It’s important to bake the chicken so that it gets nice and tender and so that the sauce caramelizes a bit and develops that amazing orange flavor (see NOTES for a quick version). You’ll need to whisk together a slurry of 1 tbsp. of cornstarch and 1 tbsp. of water and add it to the sauce. This is what helps thicken the sauce and create that gorgeous glossy coat on the chicken. Pour the mixture over the chicken and place in the oven to bake for 50 minutes. You’ll want to stir the chicken every 15 minutes or so to keep it covered and to prevent sticking. At the 50 minute mark your sauce should be nice and thick. Remove the pan from the oven and serve immediately! 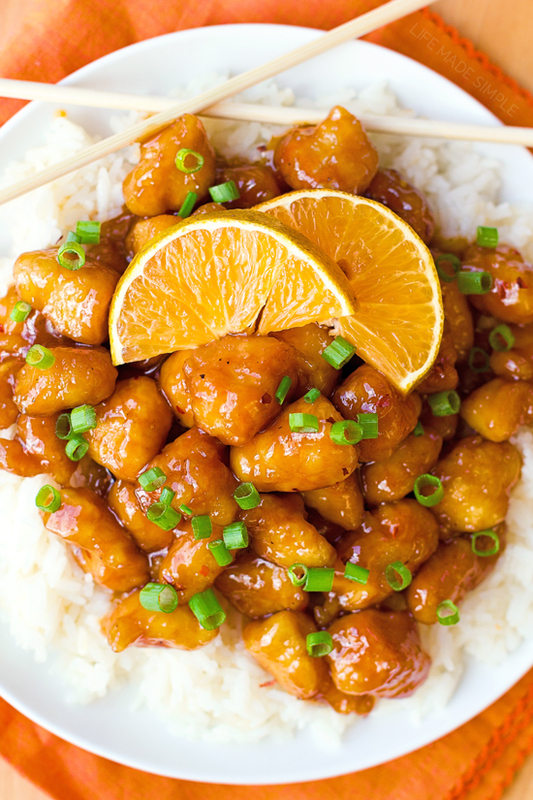 This better than takeout orange chicken is best straight from the oven and served alongside some freshly cooked rice. It’s got great flavor, an amazing texture to it and will have all of your family fooled. They’ll think you ordered out! I still cannot believe how easy and delicious this dish was. I seriously had no idea that I was capable of making chinese food that actually tasted better than takeout! I think you’ll be amazed too! Next up- sweet n’ sour and sesame chicken! There's no need to order out! 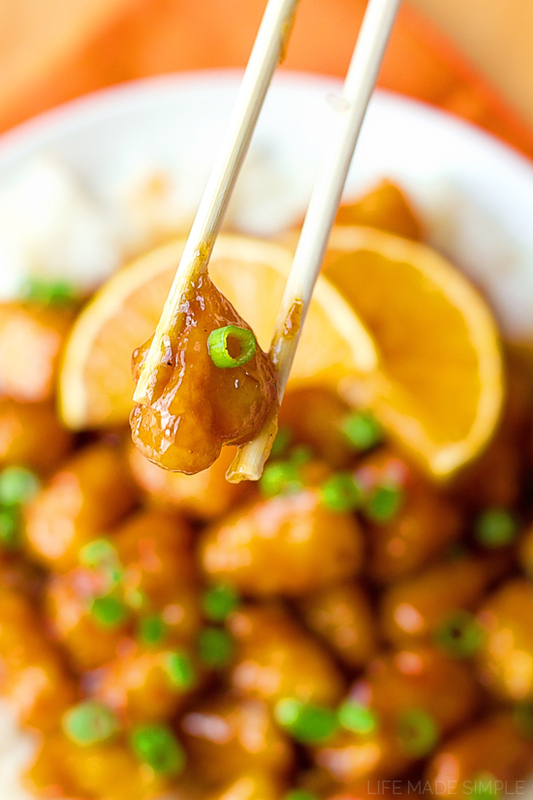 This better than takeout orange chicken is ready to go in a little over an hour! Preheat oven to 325 degrees, lightly spray a 9x13 inch glass pan, set aside. In a medium size mixing bowl (or a 2 c. measuring cup), whisk together the chicken broth, orange juice, sugar, vinegar, soy sauce, garlic, orange zest, Sriracha, ginger, black pepper, and red pepper flakes, set aside. Place the cubes of chicken into a bowl with the whisked eggs, toss the chicken (taking care to let the egg drip off it) into a large ziplock bag full of the cornstarch. Zip and shake until evenly coated. Heat vegetable oil in a large saucepan or dutch oven. Working in batches (3-4), add the chicken and fry until golden brown and cooked through, about 1-2 minutes, then transfer to a paper towel lined plate. Add the fried chicken to the prepared 9x13 pan. Whisk together a slurry of 1 tbsp. of cornstarch and 1 tbsp. of water, add to the sauce and then pour over the chicken. Place in the oven and bake uncovered for 50 minutes, stirring every 15 minutes or so. Remove and serve immediately. 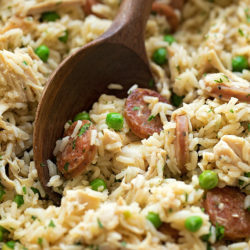 -This dish is best baked to help develop the flavor of the sauce, to thicken it and to make the chicken nice and tender. If you're in a time crunch, you can fry the chicken and heat the sauce (with the cornstarch and water) in a small saucepan until thick, then pour over the chicken and eat immediately. DISCLOSURE: THIS POST CONTAINS AMAZON AFFILIATE LINKS. ANY REVENUE MADE FROM SALES THROUGH THESE LINKS HELPS TO SUPPORT LIFE MADE SIMPLE. THANK YOU! Love how you flavored this chicken, so much healthier than take out too! Healthy!? No. 1/2 a cup of sugar, That is 96 grams, the same as 213 M&Ms, are we having dessert for dinner? Not only that but 2 cups of vegetable oil =3,154 calories and 436 grams of fat! Same amount of fat as 15 Big Macs. I was never claiming it to be healthy, just better than takeout. You could definitely cut down the sugar as much as you’d like, and the oil is just for frying, you’re not consuming 2 cups! Of course if you don’t want to fry the chicken you can always grill it without the breading and continue as the recipe states. But please don’t leave a comment without actually reading the whole recipe. This recipe is awesome. I’ve tried lots of other methods and this is by far THE BEST. My husband raves about this every time I make it. To make it a little on the healthier side, I made steamed broccoli with the rice to balance the meal a bit. Nothing beats homemade. Plus, this is so much cheaper than getting take-out and has made our Friday nights fun AND more affordable since we’re not getting take-out from the place down the road. Thanks a million for this 5-star recipe! Thank you! We’re definitely huge fans, and yes, any kind of steamed veggies are the perfect side dish for this chicken! I studied in the states for a year and this was my go-to takeaway favourite, back in the UK we don’t have this on our menus. Had been craving for months and found this, turned out PERFECT can’t thank you enough. Best I’ve had is for sure in San Francisco but this recipe comes a close second! Oooh! 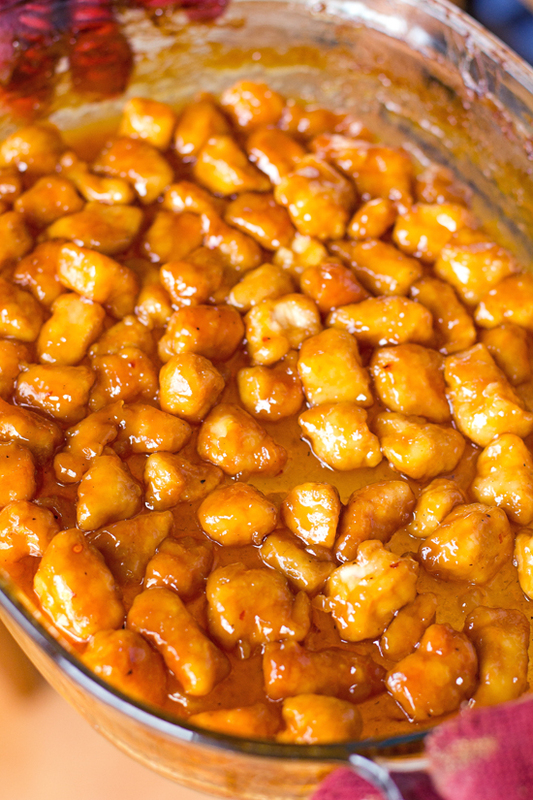 Cashew chicken sounds really good! We’ve been meaning to go up there and try it out. I’ll have to let you know when I do and when I do a copycat 🙂 Thanks for the suggestion! Thanks Judy!!! 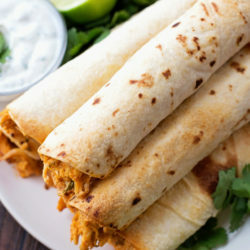 I love your site and can’t wait to try some of your recipes, they look amazing!!! I made this last night. It is really good. I had to double the recipe for my family of 6 and it did take me a lot longer to prepare than 30 minutes, but the flavor is just like orange chicken at a chinese restaurant. I also love how economical it was to feed my family a restaurant quality meal. I already had most of the ingredients in the pantry and just had to buy the chicken. Thanks so much. I’ve just made it and I love it. Hope you love it! I love that you’re going to use honey, let me know how it turns out! It does soften a little, so you could definitely add it a little later on if you prefer it to be more crunchy! Or you could just pour all of the ingredients in a saucepan and let it cook down a bit and pour it over the crispy freshly fried chicken. Hope that helps! This sauce is so delicious it has become my family’s favorite. We like the chicken to stay crunchy so I modified it a bit. I found that simmering the sauce very gently for about 40 minutes produces a perfect blending of flavors and consistency. Then we either pour it over the fried nuggets or even grilled chicken. It stores perfectly in the fridge and is a delicious dipping sauce too. I think a prepared jar of this sauce would make a great gift! It’s that good! Thanks so much for this recipe! Thanks Kristin! I’m glad your family loves it as much as mine! @Kristin… For the sauce; did you prepare the sauce ingredients in pan and add the cornstarch & water, whisk and then simmered for 40 min? Or simmer a bit then added cornstarch and water? 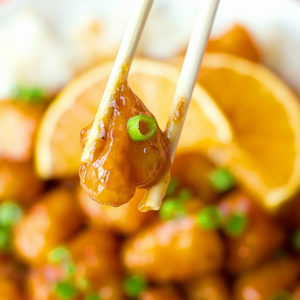 I made the recipe “Better than Takeout Orange Chicken” . It really was amazing. Recipe was easy to follow and preparation not difficult. This recipe is awesome thank you mine came out great . Thanks Melissa! I’m glad to hear it!! wow that is some drool worthy chicken!! Thank you so much Erin!! I hope you’ll give it a try! I tried this for lunch today. I have to say I was a little skeptical but it was every bit as delicious as was claimed. It was so easy to make as well. Will be making this again. This was AMAZING!! I didn’t add the hot pepper flakes as I knew my family wouldn’t like the heat. Everyone loved this recipe. I did not bake but rather added the chicken into the sauce on the stove. 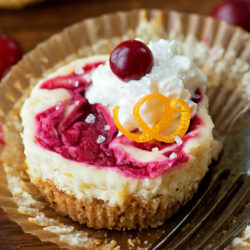 Cannot give this recipe enough stars!! Why does my sauce look brown will it lighten up while cooking in oven?? Also doesn’t seem think at all… still have 30 mins left…hope it turns out! Is it really Distilled vinegar or white wine vinegar? You could use either, but yes, distilled vinegar. I made this recipe for my family and they loved it. Will definitely make this again. I opted to leave out the Red Pepper flakes and Sriracha. Delicious! I made this for supper, it was so tasteful and delicious. My husband I and really liked it. I will make this again. Thank you for this recipe.